“It’s Gone Forever”: Was the FLAPPY BIRD Trademark Abandoned? | “It’s Gone Forever”: Was the FLAPPY BIRD Trademark Abandoned? “It’s Gone Forever”: Was the FLAPPY BIRD Trademark Abandoned? To wit: check out these reviews. Since removing the app, it has been reported that a “Flappy Bird clone” appears in Apple’s App Store every 24 minutes. Phones with the game installed were being auctioned on eBay and receiving bids as high as $99,900. It’s a rare bird that voluntarily pulls a popular product at its prime. Sure, products are discontinued all the time – but not at the heights of success. Discontinuing a product or service can lead to trademark abandonment, which has harsh consequences for brand owners. An abandoned mark results in complete forfeiture of all trademark rights and the mark becomes available for anyone to use. If the FLAPPY BIRD mark is abandoned, then the next earliest user of the FLAPPY BIRD mark (and there are many contenders) gets the proverbial worm. See 15 U.S.C. § 1127. (2) intent not to resume use. The Lanham Act states that the “intent not to resume” use element can be “inferred from circumstances.” The Act also allows for a presumption of abandonment when a brand owner has ceased using a mark for 3 consecutive years – at which point the burden of proof shifts to the owner of the discontinued mark to rebut the presumption. For Nguyen’s FLAPPY BIRD, there is no presumption that can be relied upon because there has not been a 3 year period of nonuse. The discontinuance seemingly began just last month, on February 9, 2014, when the app was pulled from all app stores. But abandonment can occur at any time — once both elements are met. At that moment, the trademark is immediately free for anyone to adopt. Resuming use later will not cure the prior abandonment. See Hornby v. TJX Companies Inc., 87 USPQ2d 1411, 1422 (TTAB 2008) (subsequent use after abandonment does not retroactively cure the past abandonment; later use represents a new and separate use). An argument can be made that a mark, while not in use, still has “residual goodwill,” which can serve as a basis for finding that no abandonment has occurred (or there could be “special circumstances” excusing the non-use). Depending on the court, the strength of the mark and the factual circumstances, residual goodwill may fit into the abandonment equation. How and where aren’t clear. Read more about it here and here. … Congress wanted a mark to be deemed abandoned once use has been discontinued with an intent not to resume within the reasonably foreseeable future. This standard is sufficient to protect against the forfeiture of marks by proprietors who are temporarily unable to continue using them, while it also prevents warehousing of marks, which impedes commerce and competition. In order to show that the FLAPPY BIRD mark was abandoned one would have to demonstrate that it can be inferred from circumstances that Dong Nguyen’s intent was to not resume use of the FLAPPY BIRD mark in the reasonably foreseeable future. Intent is inherently difficult to prove (which is why the Lanham Act allows a presumption of abandonment). Most courts require abandonment be proved by clear and convincing evidence or a higher “strict proof” standard. The Trademark Trial and Appeal Board of the U.S. Patent & Trademark Office requires proof by a preponderance of evidence. Regardless, it’s a heavy burden on the party claiming abandonment. 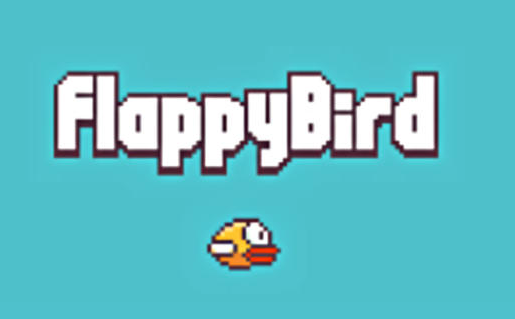 The issue for anyone claiming Nguyen abandoned the FLAPPY BIRD mark is whether a brand owner’s public statements renouncing its product creates the necessary circumstance for which an intent not to resume use can be inferred. Courts have determined that “A public announcement of intention to discontinue the sale of a product may be a circumstance from which an intent not to resume may be inferred.” See Hiland Potato Chip Co. v. Culbro Corp., 671 F.2d 1190 (8th Cir.1982) citing Sutton Cosmetics (P.R.) Inc. v. Lander Co., 170 U.S.P.Q. 461, 462 (S.D.N.Y.1971), aff’d as modified, 455 F.2d 285 (2nd Cir.1972). Based on inferences and circumstances, I was inclined to believe Dong Nguyen had no intention to resume use of the FLAPPY BIRD mark … at least until today (March 11), when Rolling Stone published this article as I was writing my post. It’s a great piece and provides a lot of interesting background on Dong Nguyen and the FLAPPY BIRD phenomenon. In it, Nguyen now states that he is “considering” bringing the game back. That complicates things … was the mark already abandoned? did it meet the “reasonably foreseeable future” standard? what does? what about residual goodwill? It’s also unclear whether the FLAPPY BIRD mark was ever “discontinued” in the first place. According to reports, the game still generates revenue based on in-app advertising from games previously downloaded on mobile devices. Do such ongoing commercial activities involving the mark prevent abandonment? UPDATE: VentureBeat reports that according to Apple’s developer agreement (here’s the “guide”) removing an app from Apple’s iTunes store results in forfeiture of rights to the name and it cannot be re-used later by the same organization.